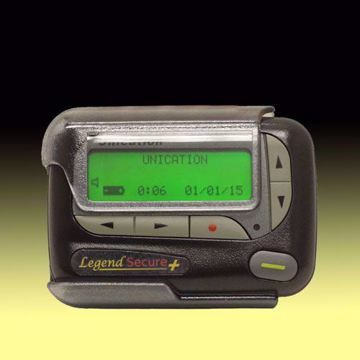 The Unication Alpha Legend Secure+ Pager Holster is a standard accessory that comes with every Alpha Legend Secure+ pager, but replacement holsters can be ordered if the original is ever damaged or lost. Made of durable polycarbonate plastic, the semi-transparent smoke black color goes well with the black colored housing of the Legend Secure pager. 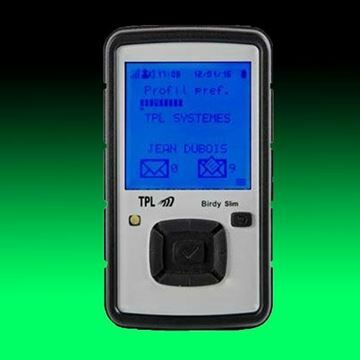 Incoming messages can be read through the body of the holster. 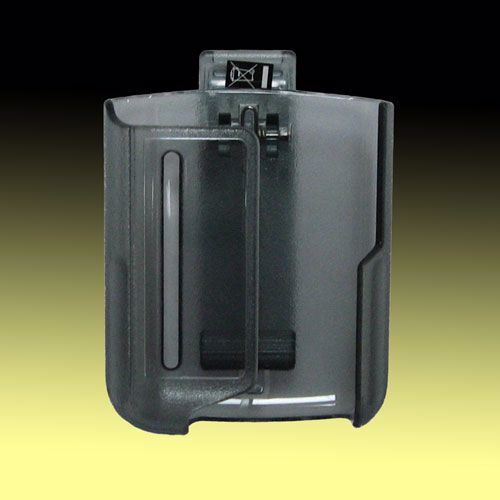 This section of the holster also provides protection to the pager’s display area. The holster has been designed to allow for easy pager removal upon message receipt. 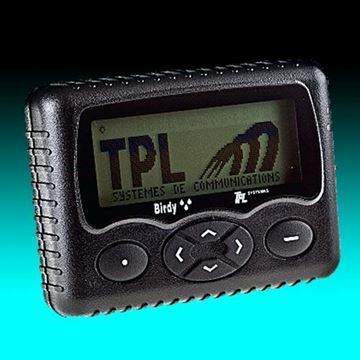 With a built-in holster belt clip, both the pager and holster can also be easily removed together for viewing received messages. 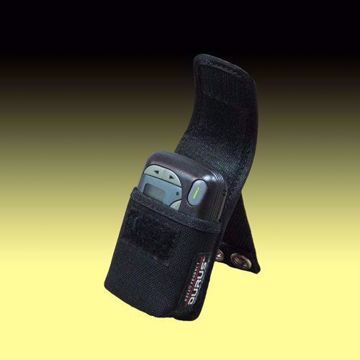 Unication uses a standard holster design, so it is interchangeable for its entire line of alphanumeric pagers. The Unication Alpha Legend Secure+ Nylon Carrying Case offers an alternative solution to wearing your Alpha Legend Secure+ pager.